Coinciding with the Creating Pathways to Diversity® Conference, is the annual Diversity Gala. 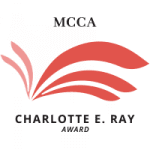 The funds raised from our Diversity Gala support MCCA’s research, conferences and professional development programming throughout the year. The Gala features an elegant networking reception and an awards program honoring individuals, corporate legal departments and law firms championing diversity and inclusion in the legal profession. The 2019 Diversity Gala will be held on October 16, 2019 at the American Museum of Natural History.